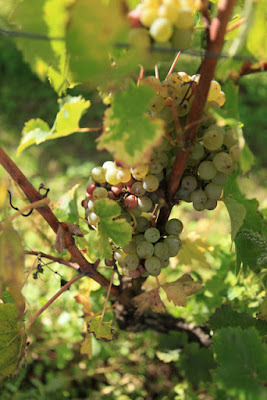 Yesterday afternoon we had a quick look in Montlouis and Vouvray. 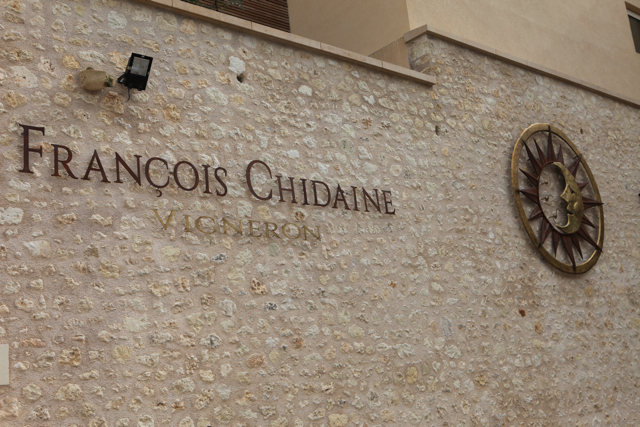 I stopped first at Domaine Flamand Delétang where Olivier Flamand told me that they had finished last Thursday. Oliver: "This is our last vintage. We had sold the estate to a couple in their late 30s who are currently in the Côtes du Rhône – Antoine and Coralie. Previously both were teachers of history before being bitten by the wine bug. 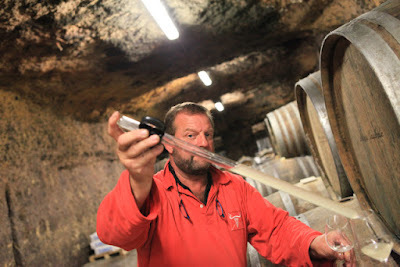 Now Antoine is working in Côte Rôtie, while Coralie is an oenologist. 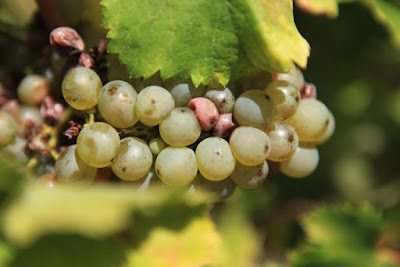 "Our Chenin come in between 11.5%-18.5% potential. We have made a small amount of sweet wine. 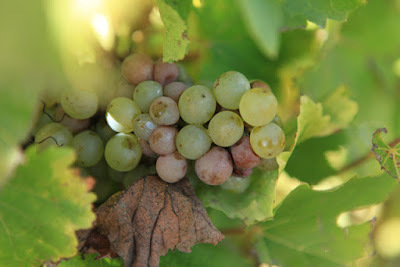 This has been a good year but the heatwave of late June and July held back the maturation. We needed rain in August and September but not as much as we got. Our Montlouis yield this year was 37 hl/ha. 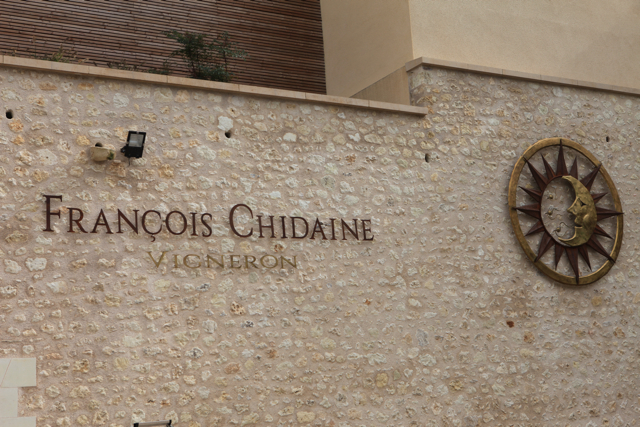 "Although we have sold the domaine we will continue to live in the area and I will continue to be a wine consumer!" We had a brief stop at the Domaine de la Taille aux Loups where Dominique brought me up to date: "We finished harvesting in Bourgueil on Saturday just before the rain started. 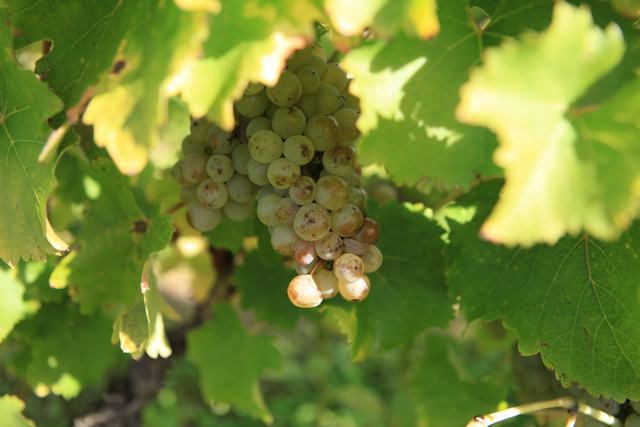 We are still picking in Montlouis. We have done a première tri for a moelleux Montlouis. 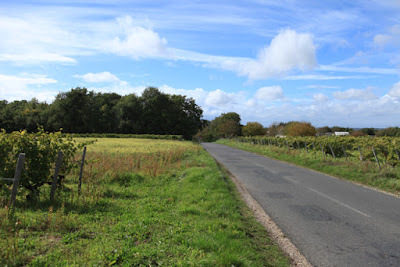 The Clos Michet is finished and we will be picking and finishing the Clos Mosny tomorrow." While Jacky Blot is still picking, I gather that François Chidaine finished last Saturday. 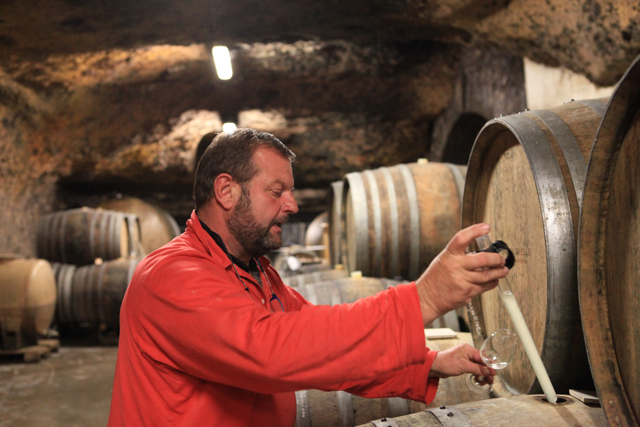 In Vouvray I saw Alexandre Monmousseau of Château Gaudrelle. "We have a day and half of picking left. I expect we will finish sometime next week. This year has certainly been complicated. There is an incredible gap in the level of maturity of the Chenin even within the same bunch. The grapes are aromatically very rich with plenty of acidity." "Although it is better to make a small amount of good wine rather than plenty of rubbish our yields are lower than we expected – around 35 hl/ha. When you pick up a bunch of grapes it is lighter than you would expect. "2015 is full of surprises. You pick a parcel of vines that you expect will be around 12% potential and destined for dry wine but it turns out to be 14% instead! 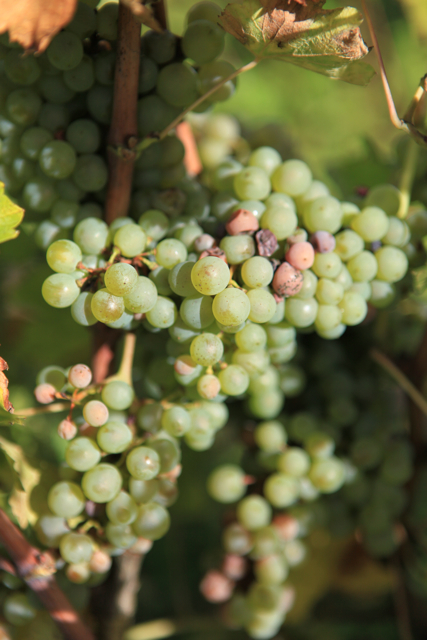 Happily we have a tri for a sweet wine at 20% potential." 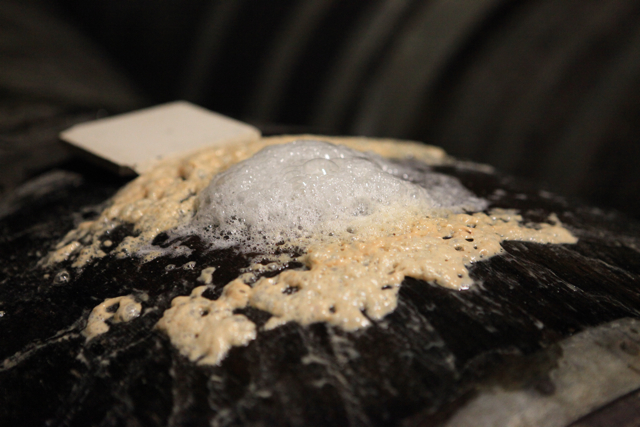 We tasted a interesting experiment – tressage. Rather than regularly trimming the vines when they reach the top of the wines, they are plaited over. 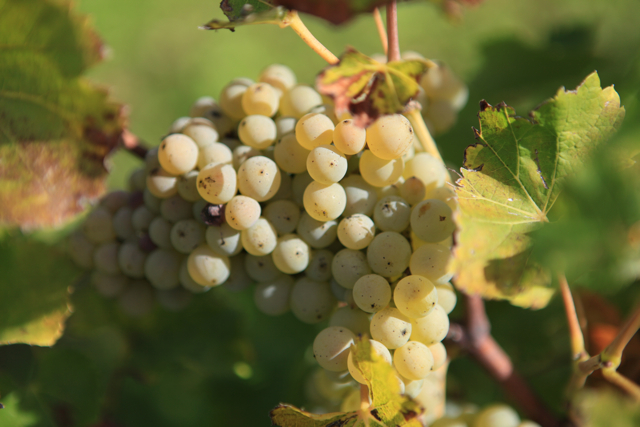 The results are noteworthy – the grapes mature 12 days earlier, with 1.7% of potential alcohol. This comes at a high labour cost as it took 35 hours to plait this parcel.